This remarkable medieval tapestry depicts a battle between giant wild men, clothed only in forest products or perhaps their own hair, and the civilized defenders of a castle. Of course most notable is the contrast in skin color and the reversal of our expectations that white should denote civilization and black the lack thereof. The wild giants with their unkempt hair and beards attack with sticks and stones. In the other two sections of the tapestry they battle with a lion, a dragon, and a unicorn–heraldic symbols representing authority and power–and then present gifts of wild game to a mother and child in a cave. In case we were in any doubt as to the level of civility among these white men, one of the gift-givers has prominent fangs. The Black defenders, by contrast, inhabit a fortified castle and fight with bows and arrows. The men’s neatly groomed beards, robes, and headbands identify them as Saracens or perhaps as black converts to Christianity. Their king, queen, and princess watch anxiously from the keep, while heralds call out for assistance. 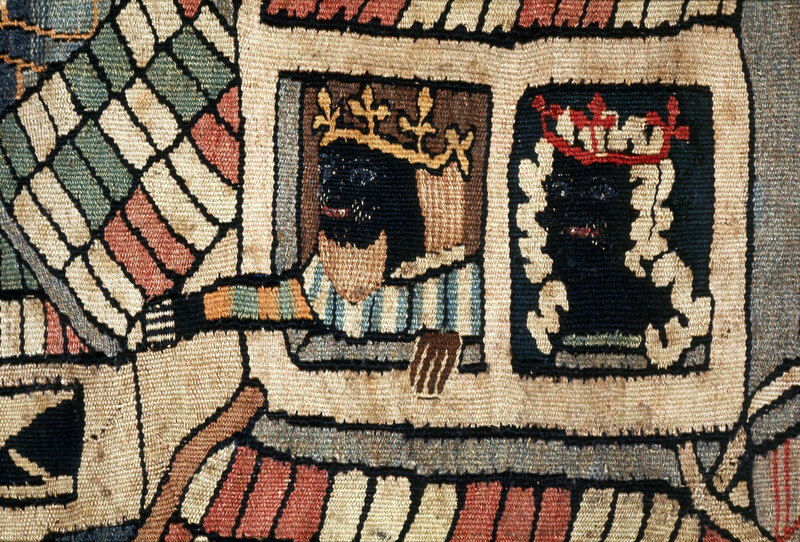 As Devisse and Mollat have suggested, the tapestry is unique in the way it brings into conflict different groups often marked as marginal others in Christian Europe. And while the precise story being told here has been lost to the sands of time, it does seem that the tapestry celebrated some form of alliance between two families whose crests appear in the design. One of these families, the Zorns, had a member who had fought and died in the Crusades and later came to include a moor in their coat of arms, so perhaps this explains the inclusion of the Black defenders. If true, then this tapestry has value beyond its own strange beauty by shedding light on the practice of incorporating moors–and crowned moors in particular–into heraldry. 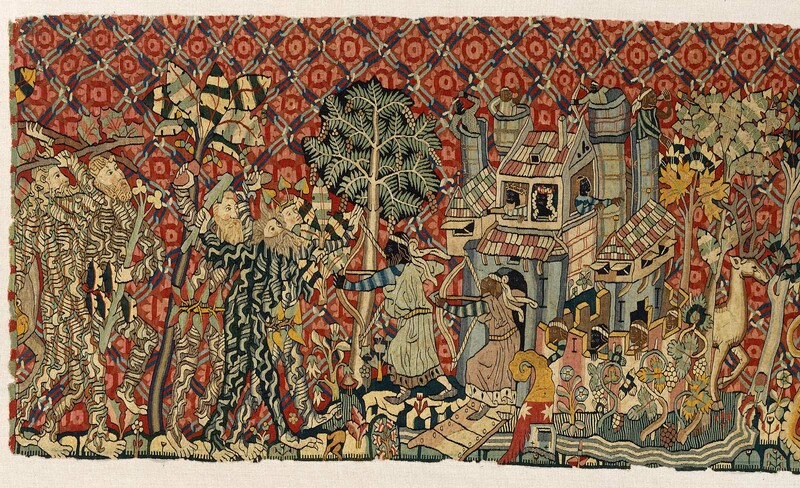 Source: Tapestry: Wild Men and Moors (ca. 1440), Boston Museum of Fine Art 54.1431. Wild men and moors (ca. 1440) by Jeff Bowersox is licensed under a Creative Commons Attribution-ShareAlike 4.0 International License.